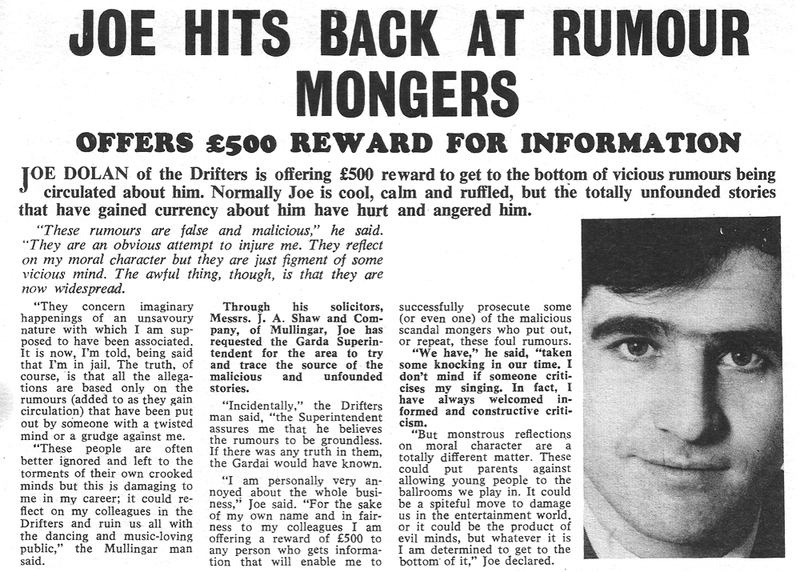 This half page advert was placed in New Spotlight magazine by Joe Dolan in June 1968.
there’s a real sadness to this..not once is the word gay mentioned..the shame and the fear of the times….i assume that was the thing at the heart of it…i fancied him so much… great voice too. He had to put up with a lot of speculation about his sexuality throughout his career. Can anyone shine any light on the nature of the rumours. It does sound on the face of it that it relates to his sexuality but , as pointed out above, but I don’t like to speculate. great singer, had his tape in the car for ages. Spoke with Joe a few times, doing showbiz stories for the Mirror. He was a lovely man and he probably was gay. I sort of suspect he wasn’t comfortable with it himself, neither was Ireland especially the midlands. He probably had no alternative but to put up the reward. To come out and say you were a queer (no one said gay then) would have been comercial (and probably actual) suicice. Nu conteaza orientarea sexuala,a fost problema lui personala.Fanii il iubesc pentru vocea unica,pentru muzica minunata si pentru omul bun cu suflet de aur.Dumnezeu sa il odihneasca in pace ! 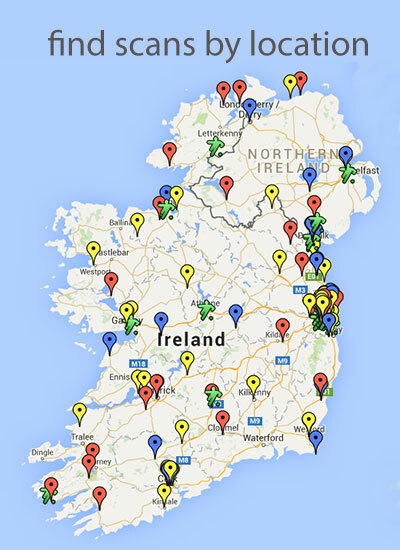 Ireland is full of gay men whether married or single. Since the late 1960s they were everywhere young boys congregated and due to the simple fact Ireland was geared up to being a Catholic country everything concerning gay lifestyles was hidden and brushed under the carpet because gay priests and bishops were also on the scene. A nation that always presented itself as a pure Catholic country was deep down so vile and evil that the earthquake of disclosures concerning child abuse murder and sexual crimes involving the Catholic church had to come out. Overnight a nation lost its identity and social standings in the world. Leaving that aside Joe Dolan was a brilliant entertainer and a money making machine for himself his band and his associates. Women idolized him as they did Rock Hudson Barry Manilow and lots of other entertainers who did not come out either through death or old age. When money comes into any issue all concerned will cover up to protect their image and their livelihood. JOE DOLAN did not kill maim bomb or destroy nations. Regardless of his sexuality his music and entertainment style was unique to Ireland. The pleasure he brought to people from all walks of life in a down trodden country was magical to all who followed him. His style is sadly missing today. RIP JOE DOLAN.